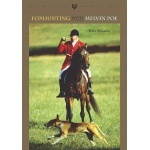 Eric Myer, DVM, is currently in his sixty-sixth season of foxhunting. And not just with one hunt. No, no. If that were the case, the hunting season would be far too short to suit him. At eighty-two, Eric begins his season in mid-July up north near Rochester, New York with the Genesee Valley Hunt. 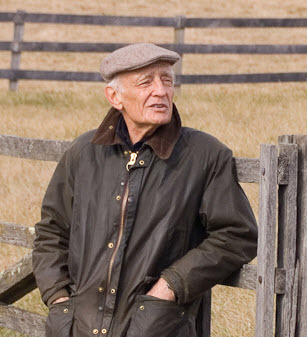 His wife Martha has roots in Geneseo, and the couple has a summer farm there. 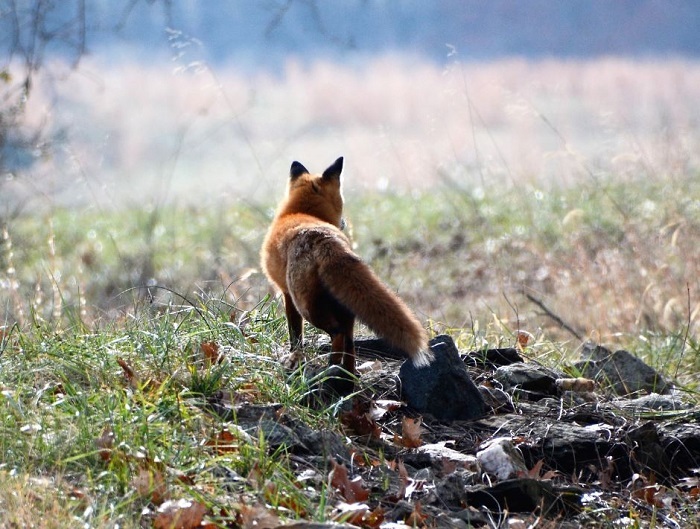 Then, in mid-October, when the Piedmont Fox Hounds are well into their cubhunting season down south in Virginia, Eric and Martha return to their Boyce farm in the Shenandoah Valley. Liz Callar photoIt is hard to believe now, but at the start of the 2017 hunting season I was actually lamenting the difficulties of leaving a hunt I had been with for fifteen years and joining another. Even at the time, I realized it was a small issue in the scheme of things that can happen in life. Making new friends and riding across some breathtaking new country quickly proved to me that I had made the right decision. That season started out well. I was hunting regularly, and in October, Karen and I traveled with the Last Chance Hounds to the Moore County Hounds Hark Forward Foxhound Performance Trials in North Carolina. By January, however, hunting was the last thing on my mind. And I never did get out after that. Born in Shanghai, China in 1870, the author of this story crossed the Pacific Ocean with his sea-going father three times by the age of four. A goat was carried aboard ship to provide him with milk. Nason Hamlin was the first recording secretary of the Norfolk Hunt and a member of the field on Norfolk’s first day with hounds in 1896. He took to hunting and polo with exuberance, but his hand-written records are more often expressed in seaman’s jargon than in the language of foxhunting. Here’s Hamlin’s record (abridged) of a Christmas Day live hunt on Cape Cod (pp 27–29, "The Norfolk Hunt: One Hundred Years of Sport" by Norman Fine). Soapy Sponge, my new dappled-gray runaway, was yet to demonstrate his worth. On Christmas morn, 1899, just as the sun was peeping over the hill, Captain Samuel D. Parker, MFH was hunting the hounds at Eastham, away down on Cape Cod. It was a frosty, sharp morn and hounds were thrown in at the swamp lands fringing the ponds on the bay-side somewhere opposite Billingsgate Island. Shortly we heard a whimper from one hound, and almost immediately the pack took up the find and crashed away in the direction of the shore. There were some skeptical suggestions that dead fish were the lure, but dead fish by themselves don’t travel, and when the entire pack kept running along the water’s edge in full cry in a northeast point, we all were convinced it was the real thing after all. This Douglas Lees photograph captures the huntsman’s horse expressing himself most clearly! “Why the long face?” asks the bartender. Scientists at the University of Sussex must have heard that old joke and taken it seriously. They have discovered that horses are able to employ seventeen distinct facial expressions—three more than chimpanzees and one more than dogs. Humans, by way of comparison, are able to communicate their most subtle feelings by twenty-seven different facial expressions through our exceedingly dexterous facial musculature. Rosslynn Balding is sitting on a couch with her wool-sock-clad feet tucked comfortably beneath her. The professional huntsman has a bundle of handwritten notes in her right hand, which she keeps reminding herself, aloud, to refer to, but which she mostly keeps forgetting to check. She admits to being nervous. She has never been interviewed by a journalist before and is wary, in a most open, friendly way that, despite assurances to the contrary, I am an undercover, coyote-loving writer who has come to a 120-acre property, just south of the village of Creemore, Ontario, to blow the lid off an arcane blood sport. St. Hubert's stag and the crucifix atop the medieval tower at CurraghmoreOpening meets are always special, but when it is at Curraghmore for the Waterford Foxhounds, and a lawn meet to boot, it goes beyond special. Indeed, the hunt was originally known as the Curraghmore Hounds. The estate is steeped in all things of the horse. Even as we drove in the long avenue (it must be more than a mile), race horses were being unboxed and tacked up on the gallops and schooling grounds which are widely used by trainers in that part of the country. Curraghmore is the historic home of the Ninth Marquis of Waterford. His ancestors through his maternal line, the de la Poers (Power), came to Ireland from Wales with Strongbow and the Normans around 1170—about a century after the Norman invasion of England and about 320 years before Columbus ‘discovered’ the New World.